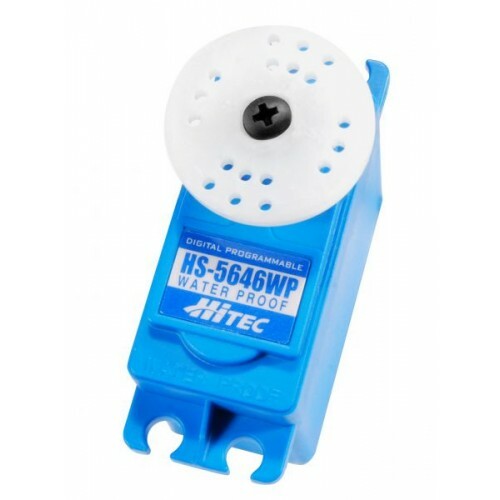 Hitec HS-5646WP is teh newest waterproof servos, have what it takes to keep your radio control vehicle, airplane or robot watertight! With high torque, dual ball bearings and metal gears, our digital waterproof servos have the industry’s first IP67* rating ranking them among the most durable and reliable servos for wet conditions. Whether you are manning your power boat, bashing in the mud, directing your underwater robot, or water landing your 25% plane, the HS-5646WP will dependably keep your mind at ease.